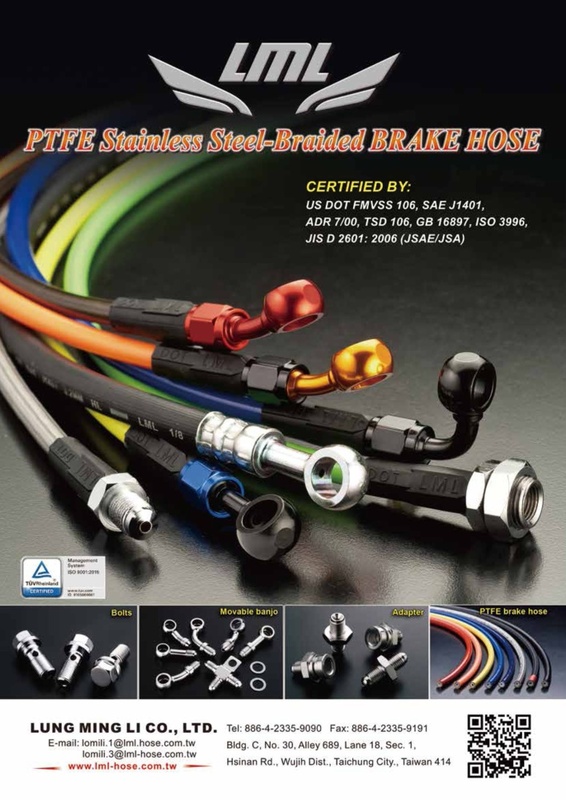 Since 1999, we have been specializing in producing high quality brake hoses, power steering hoses, paintball gun hoses, coil hoses, high pressure & high-heat resistant air/oil/steam hoses and various fittings & adapters. 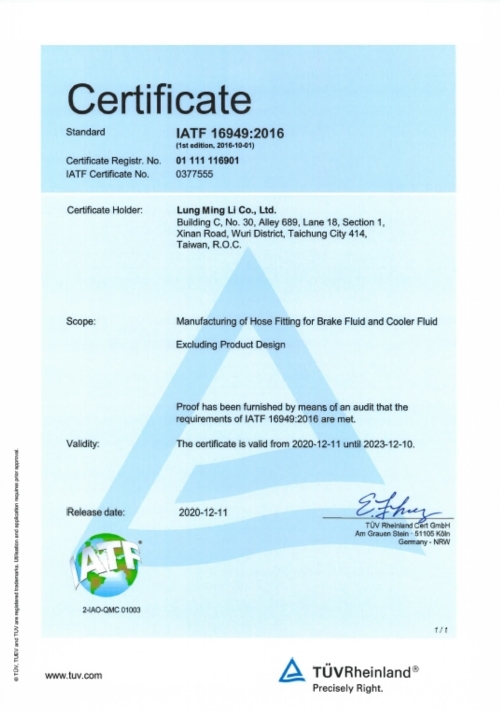 Now we are one of the leading manufacturers in Taiwan and Asia.Our PTFE (Teflon) stainless steel-braided BRAKE HOSE have been certified by the standards of US DOT FMVSS 106, SAE J1401, ADR 7/00, TSD 106, GB 16897, and JIS D 2601: 2006 (JSAE/JSA). We not only provide the best quality, the most competitive price, and high efficiency, but also have the ability to satisfy all your customization requests. 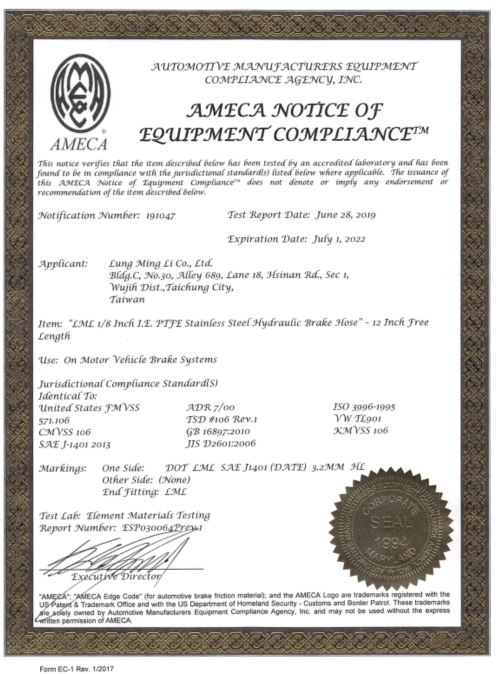 Approved by various safety standards. One-stop production (Hoses, Fittings, Assembling). Perfect quality Control (Own laboratory).